German painter who was one of the most influential art teachers of the 20th century. He was a pioneer in experimenting in the use of improvisatory techniques; his work opened the way for the first generation of post-World War II American painters to develop Abstract Expressionism. Hofmann began to study art in Munich in 1898, but in 1904 he moved to Paris, where he was deeply affected by the expressive use of colour that distinguished the paintings of Henri Matisse and Robert Delaunay. He opened his first school of painting in Munich in 1915. In 1930 Hofmann moved to the United States, where he taught at the Art Students League in New York City and later opened his own Hans Hofmann School of Fine Art, which soon became one of the most prestigious art schools in the country. By 1939 he was able to break away from the Expressionistic landscapes and still lifes he had painted in the early 1930s, and he developed a totally abstract manner notable for its wealth of invention, vigorous brushwork, and saturated colours. He used both geometric and irregular forms in his paintings. His painting Spring (1940) was among the earliest works to employ the paint-dripping technique associated with the American painter Jackson Pollock. 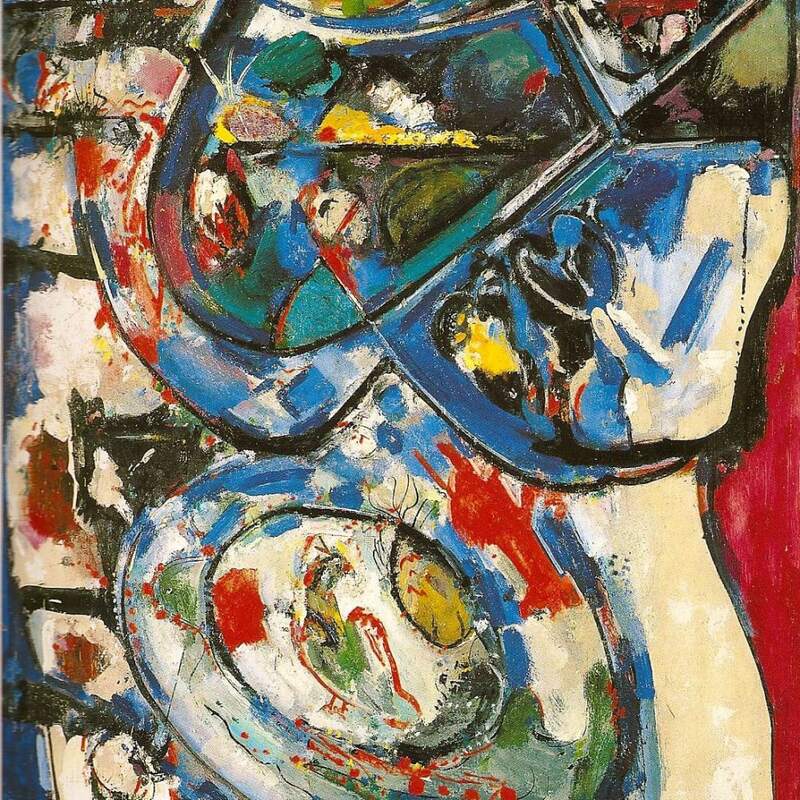 In 1958 Hofmann disbanded his school and devoted the rest of his life to his own art. Before his death, Hofmann endowed a special gallery for the exhibition of his works in Berkeley, California.